Nevertheless, even an accountant can see how a company really makes money if he keeps his antennae up. Money is not made in the back room balancing the general ledger. The profitability of a business is dependent on the physical, intellectual and emotional abilities of each employee and the collective workforce. After all, a business can only exist if there are people to operate it and a business can only thrive if it keeps its best employees. This concept should not come as a surprise to anyone who has run a successful business. However, an executive of a very profitable company once told me, “This would be a great business if it weren’t for the people.” Lucky for that company, there were other managers that did not share his opinion. They understood that it was the people that make a great business. The key people in making a great business are the leaders. Leaders set the tone of the company and establish the corporate culture. Exceptional leaders are those who model the behavior they want rather than just preaching about it. Leadership is the first criteria of The Malcolm Baldrige National Quality Award, an award established by Congress to recognize U.S. organizations for their achievements in quality and performance. Being a leader doesn’t require a title. I have known receptionists who are leaders in the companies they work for because of how well they treat employees and customers. Following that thought to its logical conclusion, every employee can be a leader. These blog posts, however, are focused on leaders and managers who have the responsibility of directing the work of fellow employees. Having worked in management positions for over 30 years in oil refining, construction, consulting, electrical generation, manufacturing, agriculture and health care, I can unequivocally state that any company can improve the bottom line when leadership values the employees and fosters a culture that nurtures talent. It does not matter what type of business, every successful business is dependent on good employees who are led by good leaders. The Baldrige Award criteria support this observation. Not only are companies that take care of their employees more productive and profitable, they are a better place to work for both employees and their bosses. Considering that we spend about a quarter of our working lives, about 80,000 hours, at the workplace, an enjoyable workplace should be important to everyone. Volumes have been written on workplace productivity and thousands of studies have been done on hundreds of management theories. Sorting through them all to find the key elements would be a monumental task and would overload the typical reader. 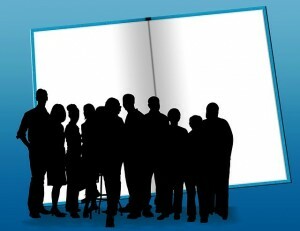 In my opinion, the following Ten Best Practices of Exceptional Leaders probably captures 90% of what has been proven and, what is more important, the reader will intuitively know what is true through their own experience. These best practices are not intended to replace a Human Resource manual or the corporate attorney. Their purpose is to focus employees and their managers on how to improve their workplace. Each of these practices will be explored in depth in subsequent articles. The articles will teach how and why leaders who lead with the heart can dramatically improve the work environment. When managers ignore these practices, they are punished with high turnover, negative budget variances and increased workplace stress. On the other hand, when managers employ these practices, the workplace is rewarded with more satisfaction, productivity and profitability. This entry was posted in Business & Organization Leadership on November 26, 2018 by rogerallred. Just because you can fire someone with a smile on your face and without raising your voice, doesn’t mean that you know how to properly discipline your workforce. “The Wizard of Westwood” said, “A coach is someone who can give correction without causing resentment.” Those are words one of the best coaches of all time, John Wooden. John Wooden won 10 NCAA national championships and is the former UCLA faculty member that I admire most, and I don’t even enjoy watching basketball. Discipline is a requirement for success in every business. The definitions of discipline include both “punishment” and “training that corrects, molds, or perfects the mental faculties or moral character.” The latter of the two definitions is the one that seems to most accurately reflect what a good coach does in order to create a winning team. A good coach in both business and athletics is focused on improving the team member in order to contribute to the success of the organization in a manner that inspires, rather than punishes, the team member. Some would call Sir Alex Ferguson the greatest coach in history. Before retiring in May 2013, Ferguson spent 26 seasons as the manager of Manchester United, the English soccer club that ranks among the most successful and valuable franchises in sports. During that time, the club won 13 English league titles and 25 other domestic and international trophies—giving him a success rate nearly double that of the next-most-successful English soccer club manager. Start with the foundation – You must build a team from the ground up with competent team members, and foster a sense of family among them. Dare to rebuild your team – Always look to the future, which includes cutting players that are not contributing to the benefit of the organization. Set high standards and hold everyone to them – Inspire team members to do better and to never give up. It’s all about quality, hard work and focus. Never, ever cede control – Respond forcefully and quickly to problems. Never allow anyone to undermine the team’s performance, instead, let them go, even if they are a super-star. There are times when “cutting players that are not contributing to the benefit of the organization” is necessary. Terminating an employee is difficult for the one being terminated, and often for the employer. Company policies and employment law must be followed, but it must be done humanely. The most important concept to remember is that termination is not the final judgment of the employee as a person or a worker. It must be viewed as time for the employee to find a different job where he or she is better suited. Compassion on the part of the manager is always appropriate. Avoid “horriblizing” the terminated employee by blaming them for all of the problems in their organization. Finally, keep your focus on how to help them move on to a position where they can succeed. A successful business must be a team effort. Discipline – “training that corrects, molds, or perfects the mental faculties or moral character,” must be an integral part of making the team successful. Be a good coach, not a bully nor a prima donna, if you want your organization to achieve its potential. When our adult children return to their homes after visiting us, I always like to get a call or text so that I know that they are home, safe and sound. “Home safe and sound’ is the same phrase my parents taught me. Our workplaces should ensure that employees return to their homes every night, safe and sound. In his book, Prescription for Excellence, Joseph Michelli, Ph.D, describes how the Ronald Reagan UCLA Medical Center became one of the top hospitals in the US. He states, “Fundamentally, safety must come before everything else for companies to even have a chance to serve customers or sustain success.” He goes on to explain how Abraham Maslow’s hierarchy of needs requires a safe environment before higher-level objectives can be achieved. Remember, accident prevention reduces human suffering and is good for business. With those two incredible benefits, prioritizing safety in the workplace should be a no-brainer, but it isn’t. Ask any workers compensation insurance claims adjuster. Having worked in oil refining, power generation, milling operations, construction and health care, I can recommend these ten best practices to establish a safe work environment. Know the rules. Since not all workplaces are alike, you must be certain that you know or can determine the safety laws and rules that apply to your unique workplace. Establish safety policy. Based on knowledge of the first Best Practice of Workplace Safety, policy must be established to prevent accidents and comply with law. All accidents are preventable. That is not to say that all accidents will be prevented but if the workplace adopts the attitude that all accidents are preventable, the number of accidents will decrease. Model the behavior. The example set by management will set the tone for how important safety is in your workplace. Compliance with rules increases when you model the safe behavior you expect. Examples; always wear your hardhat in the work zone, use gloves when dealing with bodily fluids, and sit up straight at your desk when typing. Train. Employees can only comply with policy that they have been taught. Training must be done so well that employees understand the policies and the consequences of non-compliance. 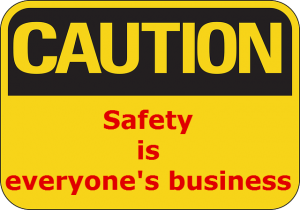 Employees must also understand and accept his/her individual responsibility for safety. Managers must only allow those who have demonstrated competency to do certain tasks. Listen. Encourage employees to discuss the hazards of their work with you. Managers must establish a blame-free environment where employees are confident in openly discussing any mistakes that they make. Assess. Stop and think about what might happen in the workplace. Analyze even the smallest accident. Track, review and research the safety data. Set safety targets and monitor safety improvement. Fix problems immediately. Managers and employees must adopt an attitude of fixing any potential safety hazards as soon as they are found. If the solution is going to take time, tag the area with caution notices. Establish ever-vigilant good housekeeping standards. Be consistent. Safety rules must be consistently applied across the company and across time. Don’t allow yourself to get lax. Be insistent. Insist on safety every time, in every location, with everyone. Be persistent. Follow-up, follow-up and follow-up. If you don’t, safety will decrease over time. It is human nature. In addition to safety, the physical working environment must be conducive to work and as comfortable as the work area permits. I recently worked with a company that moved from old, cramped quarters to a new building that was beautifully decorated. The impact on staff and customers alike was remarkable. This is not always possible in construction or heavy manufacturing but there are many improvements that can be made in all workplaces. The result will be better productivity and less employee turnover, which equals increased profitability. The next ten practices are equally important to boost productivity even further. Improve any areas of poor lighting. This is more than just a safety issue. Decrease loud background noise, such as music, traffic noise, or unnecessary conversation. Replace chairs, desks or equipment that causes discomfort or repetitive strain. Clean-up unhealthy air, such as air pollution, smoke, or unpleasant smells. Avoid overcrowding and workstations in close proximity to others. Maintain comfortable climate conditions, such as heating, cooling and humidity. Allow for each employee to have an adequate rest period, which may be more than the law requires. Provide the best quality and functional tools possible. Beautify, clean and unclutter the workplace. Provide opportunity for exercise and healthy snacks. When leaders focus on improving safety and workplace environment, employees have concrete evidence that the company cares for them. Valued employees are more productive employees. 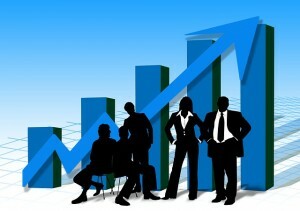 Productive employees increase company profits. You have made a significant investment in your employees. Make sure those employees get home safe and sound. It is ironic that someone would try to fake sincerity, but sadly, it is fairly common. In reality, success in management has nothing to do with sincerity. I have seen bosses who sincerely think that the way to succeed is on the backs of their employees. Most who have reached the management level will say, “Our people are our greatest asset.” Many truly believe it but a far smaller group will treat employees that way. They might talk about wanting to improve the corporate culture but sincerely do not want to make the necessary changes in how they reward their employees – Aye, there’s the rub. Rewarding employees fairly has a direct impact on maintaining the company image, giving customers the service they expect, creating quality products, minimizing legal actions and increasing employee retention. In that light, it is one of the most important keys of success. When considering employee rewards, the first item on the list is typically the pay. Pay is required by law for all employees and overtime is required by law for all non-exempt employees. Minimum wage and wage and hour laws dictate the lower limit of pay. But, rewarding employees fairly is an entirely different matter. Some argue that “studies have shown” that pay is not a motivator. There is some truth to that statement it can not stand alone. The complete truth is that pay, including bonuses and perquisites, is not a motivator when the pay is adequate and fair. Adequate pay is enough for employees to maintain the minimum lifestyle that they are willing to accept. Fair pay means that it is essentially equal to what others in similar positions are receiving both inside and outside of the organization. I worked for an organization that had a large percentage of workers that were paid slightly above minimum wage. Their jobs were emotionally and physically demanding; much more so that their friends who worked at In-N-Out Burger for relatively the same pay. The turnover was horrendous, with all of the terrible side effects on their managers and the customers. Management was reluctant to increase wages even slightly. They often cited that many employees currently in management had begun their careers in the same low-paying jobs. They neglected to recognize that the current managers were being paid approximately 30% more than minimum wage when they worked in those jobs, and the current employees were now making less than 10% more than minimum wage. The current employees were living on government assistance and receiving help from their parents because their wages were neither adequate nor fair. I finally convinced the owner to increase the starting salary and give modest increases to high performing staff. The changes were immediate and significant. Morale improved, customers received more consistent service, manager and employee complaints decreased dramatically and in the first 12 months of the program total turnover decreased by more than 25%. Turnover costs are estimated to be $4,000 for an employee making $8 per hour, according to the American Management Association. A study done at Louisiana State University for $8 per hour employees estimated the cost to be $25,000 per employee. In this particular company, the turnover savings approximated $600,000 per year. That was just the tip of the iceberg of benefits the company received for paying adequate and fair wages. Paying adequate and fair wages applies equally to burger flippers, engineers and nurses. Once the basic requirement of paying adequately and fairly has been met, the organization can work on the other rewards that will motivate their employees. Each of the items on this list must be addressed to have employees that are motivated to achieve their highest potential. The “non-compensation” rewards are interwoven in all of the 10 Best Practices of Exceptional Leaders and are addressed in the posts on this blog. So, the secret of success of being a good leader is not sincerity. The secret of success is sincerely rewarding the employees adequately and fairly. Think of the people in your life that have had a significant impact on you. It’s difficult to pinpoint what exactly they said or did that so dramatically impacted your life, but you remember how you felt when you were with them or thought of them. Employees are people and if you want people to respond positively to your leadership, you will treat them like people. All too often, managers treat employees like they were nothing but fungible fungi. People are not the same, they are not fungible. They have unique talents, life experience, training and personal issues. People are not like machines. A machine can tolerate a bare minimum of care. If the machine breaks, you can buy the same machine that performs the same tasks in exactly the same way. Managers who see people as fungible pay their employees just enough to keep them from quitting, because the managers believe that if employees leave they can be easily replaced. This perverse sense of reality will ensure that their best employees will leave and the manager will be left with those who can’t find another job. Neither are people fungi. The best employees want to share in the success of the business. They want to work for managers that discuss the issues of the company and genuinely listen to their input. They are not looking for work/life balance because that denotes a competition between work and their life. They are looking for work/life integration that allows them the flexibility to live normal lives. One of the most influential philosophies in managing employees, and in managing life, is taught by the Arbinger Institute. This philosophy had a profound impact on me personally, both in my former role as a CEO of a power plant, and in my own family. The following is my summary of the Arbinger Institute philosophy based on my personal study over the last 15 years. Do I see others as they are – as people or as objects? 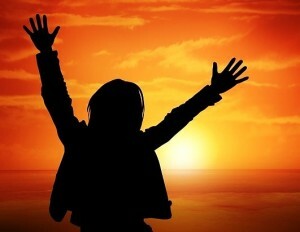 If I see others as people, I recognize that each has their own life with all the challenges that that entails. I understand that people are individuals who have needs, wants, feelings and are worthy of my consideration. 1) Obstacles in my life that make it more difficult for me to get what I want and so I blame them when I don’t get what I want? 2) Vehicles that I can use for my own purposes without regard to what they might need and so I blame them when I can’t use them for my purposes? 3) Irrelevancies that offer me no advantage, so I can just ignore them and I blame them for being an annoyance that I have to tolerate? Once I see others as people, I can stop justifying my own bad behavior by blaming others, and become a true leader. Consider how different it feels to be complimented or corrected by someone who sees me as a person as opposed to someone who sees me as an object. Treat your employees as who they truly are, people. 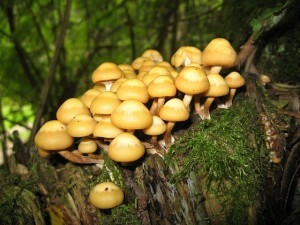 They are not fungible fungi to be Mushroom Managed. When you nurture your employees by leading with your heart and making your employees feel that they are appreciated and valued, they will flourish and will be more productive and loyal. You will be an exceptional leader. As Sergeant Stryker (John Wayne) said in The Sands of Iwo Jima, “Life is tough, but it’s even tougher if you’re stupid.” It is harsh language but the concept rings true. The good news is that employees can overcome workplace stupidity if they are given proper training and they are committed to learn. When I graduated from college with my degree in accounting, there really was no technology requirement. I learned how to use a ten-key adding machine at my first job. The computing power that now resides in an iPad is more than all the computers that occupied the data processing building at my alma mater when I graduated. It is absolutely true that if I had not continued to learn, my job opportunities would be severely limited. As a CPA, I am required by the State of California to keep my accounting skills and knowledge current by receiving Continuing Professional Education (CPE) credits from classes that I take annually. I also have to be proficient with a computer and business software to remain relevant in today’s business world. Almost all jobs require initial training and ongoing learning. Employees are more confident and comfortable if they are properly trained. Customers receive a higher quality product/service from properly trained employees. It has been said, “Hire the smile and train the rest.” This philosophy works when the employee has the capacity and the inclination to learn and the company does, indeed, train the rest. Another adage states, “Energy is more important than IQ.” However, the employee’s energy must be focused on learning the very best job skills. Also, in order for employees to advance in their job, they must show confidence. Confidence is only worthwhile if accompanied by competence. In summary, every good employee must have the proper attitude, training and experience. Good employers play an important role in all these attributes. I have worked with a number of companies that emphasize training and learning. Training includes on-the-job training, formal trainers that are brought in to teach specific topics from time to time, paid college tuition programs and establishing personal learning objectives at every annual performance review. Employees at those companies appreciate the training that is provided and often cite the training programs as one of the most important benefits that the company offers. I once attended a seminar by Robin Sharma, a motivational speaker and best-selling author on the topic of leadership. He said, “Your number one goal is to grow leaders faster than your competitors.” An important element of training is to train the next generation of leaders at your workplace. If you look around and find no one qualified to take over the business, the fault is that of the current leadership. The key elements of training for succession are: 1) Find the talent, 2) Train the talent, 3) Pay the talent enough to keep the talent, and 4) Include the talent in transition plan development. Training is essential to a successful business. A good leader will promote training and learning at all levels. The benefits are to keep the employees skills relevant, to increase employee satisfaction, to provide the best possible product to the customer and to prepare the company for the future. Olympic athletes train for a lifetime to be one hundredth of a second faster than their competitors. They train for peak performance. Do the same – don’t be stupid. Most of us know the Golden Rule or, if you are a philosopher, the Ethic of Reciprocity. “Do to others as you want them to do to you.” Or, speak to others as you want them to speak to you. Or, help others like you want them to help you. You don’t have to be a philosopher, however, to understand that working well with others is a good way to have others want to work with you. A workplace where all employees, including managers, treat each other as they would like to be treated is a fertile work environment, where productivity and employee satisfaction grows. While it is reasonable that the person who funds the payroll should have the right to lawfully control the workplace, it is equally reasonable to assume that the way employees are treated will have an impact on productivity. No matter how much money one makes. No matter how intelligent one is. No matter how much professional success one achieves. Autocratic management styles are not healthy, except in some military type situations where unquestioning obedience is necessary to save lives. This is not to say that autocrats can’t be successful. They can be, but just not as successful as they could be and not for as long as they should be. In fact, my own training as an auditor reinforced this autocratic style. Our motto was, “In God we trust, all others we audit.” That might work for someone whose job it is to check for compliance but it certainly is not appropriate for a manager. Remember that auditors are the ones who join the war effort after the battle is over in order to count the dead and bayonet the wounded. Healthy work environments are led by those who inspire, not by those that question employees’ every move and motive. We all know from experience that good managers with successful teams spend their time teaching rather than criticizing. A good manager always assumes the best in people which promotes creativity, innovation and motivation. A good manager also inspires his staff by helping them understand how their business contributes to the well- being of the community. This fertile work environment also helps grow profitability. In other words – health trumps intelligence. The most important skill of a leader is helping everyone to work cooperatively together; creating a synergism that utilizes the collective intelligence, insight, inspiration, creativity and innovation of the entire workforce. A healthy workplace is led by managers whose leadership style can be described as collegial, collaborative and considerate. A healthy workplace is where honest disagreements are freely discussed without fear of retribution. Finally, a healthy workplace is where mistakes are made and resolved without exaggerating the problem and “horriblizing” the offender. Even when termination is necessary, it is done without animosity. Living the Golden Rule at work might seem too “touchy-feely” for some, but so what! When you treat your employees with the same dignity and respect that you expect, the workplace is healthier, happier and more productive – more fertile; and the business is much more likely to thrive. Apparently, many non-mechanics are spending way too much time under the bus. At least that is what I must assume after being in so many workplaces and hearing, “She threw me under the bus.” Being “thrown under a bus” is just a figurative way of saying that someone is putting another in a difficult situation to make themselves look better. This type of office politics is motivated by unhealthy competitiveness and egotism. 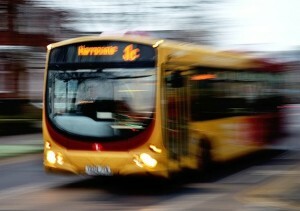 The act of throwing a colleague under the bus to gain recognition is a bad idea for at least three reasons. First, doing deliberate harm to another person reveals a deep character flaw. The astute manager will see that someone who is willing to damage the reputation of a co-worker in order to elevate their own status is not the kind of person who should be considered for a leadership role. Second, it destroys the trust that others have in the thrower, which decreases the pleasure of working together. No one wants to have to constantly watch their back for fear of being the next throwing victim. Third, it has a devastating impact on the workplace culture. Cooperation among employees suffers, product/service quality diminishes, the workplace becomes a battlefield with wounded warriors, valuable employees leave to find a more healthy work environment, recruitment becomes more difficult and, of course, the bottom line suffers. The ‘hot’ war acts include verbal abuse, physical abuse and sabotage. They are usually dealt with promptly because they can’t be ignored and can create the basis for an employee lawsuit. The ‘cold’ war acts cited by Arbinger are more subtle but can be equally devastating to a company. Since they are subtle, they can only be eliminated by creating a corporate culture where peers police each other and leaders set the example. When managers create an environment of inclusion that fosters friendships, the company becomes a desired employer where employees never want to leave. The Gallup organization, which does opinion polls, has developed an employee questionnaire called the Gallup Q12. This twelve question survey determines the level of employee engagement and has been administered to millions of employees. It is interesting to note that six of the twelve questions are about how the employee connects with others at work, including the question, “Do you have a best friend at work?” Personal connection is a significant determinate of employee engagement. It is almost impossible to develop personal connection in an environment of cliques, attention-grabbing and vindictiveness. Conventional wisdom is that great teams happen when team members try to be “the very best” engineer, plumber, salesperson, etc. at the company. Most managers would agree that they want their employees to be “the best.” However, when a person is focusing on being “the very best,” they are focusing only on themselves, their personal achievements and being better than everyone else. This narcissism creates contention and competition, which diminishes cooperation. The most productive team is one where each team member does his/her job in a way that helps others to do their jobs, in order for the team to achieve the company objectives. Leaders will improve morale and productivity by helping employees to work together as “the best team.” In other words, everyone is on the bus and no one has been thrown under it. A lot can be learned from the ancient Greeks about ego and success. Even though the gods in Greek mythology were often quite capricious and vengeful, the myths teach valuable leadership principles. Apparently, human nature hasn’t changed all that much in the past 2,500 years. Narcissus was a handsome young man who reveled in rejecting those who fell in love with him because of his beauty. He tangled with the wrong gal when he rejected the nymph, Echo. She prayed to Aphrodite who cursed Narcissus to fall in love with his own image. 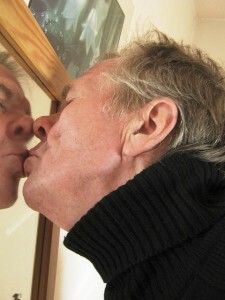 He wasted away with love of himself while staring at his reflection in a pond. Although there is a bit of narcissism in all successful people, it becomes pathological when our egos demand constant attention, admiration and reinforcement from others. All too often, leaders of countries, non-profit organizations, businesses and the K-Mart shoe department become narcissists and everyone in their organization and their customers suffer as a result. Some business executives have been so successful that they begin to think that anything they touch will turn to gold. There are certainly some upsides to having the golden touch, but as King Midas discovered, the downside can be devastating. Dionysus, the god of wine, granted the wish of King Midas that everything he touched would turn to gold. He immediately tested his golden touch and to his delight, everything did turn to gold. Not fully understanding all of the ramifications of his newly acquired power, King Midas touched his daughter and she also turned into gold. His golden touch gave him all the gold he could want, but cost him human contact. It is extremely damaging to an organization when executives begin to think of themselves as Greek gods and never stop to question their decisions, their opinions nor their virtue. Like Midas, everything they touch seems to turn to gold so they begin to think that they can do no wrong. The reality is that no executive is God, and when narcissism causes them to ignore reality, they are naturally prone to mistakes and to offense. It is fair to observe that there are many toxic individuals who own or manage very successful organizations. Therefore, one does not have to be an exceptional manager to get promoted or to make a lot of money. Having worked for and with such individuals, these are the downsides I have observed. People might respect their intelligence or talent but they do not respect the individual. There are few people they can trust – for good reason. They generally feel isolated from others in the organization. Their organizations have high turnover. There are very few people available for leadership roles – because the good ones have left. They often make catastrophic mistakes because they assume they know it all. Their lives are out of balance. Any enterprise will be more successful when leaders realize that they are not Greek gods and descend from Mt. Olympus to mingle with the mortals. The next ten best practices will make mingling more effective and will help prepare others for executive positions. Seek and respect the opinions of everyone, from the janitor to the Executive VP by looking for opportunities to collaborate with those who work for you. Model the behavior you expect in others. Focus equally on the welfare of the customers and the employees. Plead for people to find ways to refine or correct your thinking. Avoid inflammatory language, which means to speak with precision. Keep discussions as light-hearted as possible without trivializing the importance of the work at hand. Let people know that you are there to serve in your capacity, just as they are in theirs. Be clear in your directions and expectations. Teach by explaining the rationale of decisions. According to the August 2013 Harvard Business Review article Connect, Then Lead by Cuddy, Kohut and Neffinger, “A growing body of research suggests that the way to influence – and to lead – is to begin with warmth. It facilitates trust and the communication and absorption of ideas.” They also cite a study by Zenger and Folkman where only 27 of 51,836 leaders were rated in the bottom quartile of likability and the top quartile of leadership effectiveness. In other words, you have a 1 in 2,000 chance of being a good leader if you are a jerk. Robert K. Greenleaf, the author of one of the seminal works on effective leadership, The Servant as Leader, wrote, “The first and most important choice a leader makes is the choice to serve, without which one’s capacity to lead is severely limited.” Being smart or experienced or decisive are all great leadership qualities but the attitude of service is the most crucial for lasting success. A leader who has developed the attitude of service has something more precious than a golden touch. He or she leads with moral authority, which is the authority granted to a leader by those who are being led. Therefore, the followers are more inclined to do the right thing for the right reason, which is naturally self-perpetuating. That leader has the potential to build a lasting legacy, without the havoc that typically accompanies the leader who has not learned how to check his ego at the door. That song, by Bobby McFerrin, will probably never be the anthem of corporate America. Is it too far-fetched, however, to agree that a happy workplace is a productive workplace? Some might say that this simplistic notion would only be adopted in the quality control department at the local medical marijuana dispensary – and then forget about the productivity! Work is about working; not about having a good time, they say. But, are working and being happy necessarily mutually exclusive? • Doctors put in a positive mood before making a diagnosis show almost three times more intelligence and creativity than doctors in a neutral state, and they make accurate diagnoses 19% faster. • Optimistic sales people outsell their pessimistic counterparts by 56%. • Happy workers have higher levels of productivity, produce higher sales, perform better in leadership positions, and receive higher performance ratings and higher pay. They also enjoy more job security and are less likely to take sick days, to quit, or to become burned out. • Happy, engaged workers have been shown receive up to 25% higher job performance ratings than their unhappy colleagues, which translates into a better bottom line. Hopefully, those hard facts and statistics give the average executive license to ease up a little and find a way to make his/her own workplace more enjoyable. In fact, the statistics show that a manager who can’t help his/her employees to “be happy now” is costing the company a boatload of profit. In my 35 year career, I have worked for some very positive bosses, and for some whose negativity was toxic. When I had a positive boss, my productivity and creativity increased dramatically. I felt confident that my work was appreciated and that I could try to improve on existing practices without fear of punishment. Even when I did something wrong, it was much easier to accept criticism from a positive boss and to improve my performance. Working for a toxic boss is stifling and demoralizing. I left those situations as soon as possible. Because of my personal experience with positive bosses, I have attempted to be as positive with my employees as I know how. The rewards, both in terms of productivity and loyalty have been remarkable. Happiness is an advantage. While being successful in business requires a lot more than just being able to whistle while you work, the leader who maintains a positive attitude has a very positive impact on the workforce and workplace productivity. There are some relatively easy things that a manager can do to promote a positive attitude in the workplace. It might sound silly, but you can start by smiling when you see people on and off the job. Learn the names of the employees and greet them by name when you can. A quick trip around the workplace in the morning to say “Good Morning” to everyone is a great way to start the day for everyone. Look for ways to compliment the people who work for you. These are all simple things but they mean a lot when you take the time to set a happy tone in your workplace. Finally, find joy in your journey. You spend much of your life at work. Why not enjoy it? 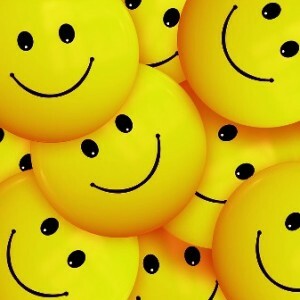 Be happy now.